Share what you and your service are doing to build on 2012 and keep your QIP up to date by commenting on this post. Want to read more about keeping QIPs up to date? Check out this post from Gaye Stewart on how she and her team supported the process at a local level. This weeks blog post is from Robyn Monro Miller who recently attended meetings in Geneva in her capacity as International Vice President of International Play Association (IPA). Network of Community Activities has a long and proud history of support for the UNCRC and enshrined in our constitution is a commitment to advocacy on Article 31 and Article 12. 1. States Parties recognize the right of the child to rest and leisure, to engage in play and recreational activities appropriate to the age of the child and to participate freely in cultural life and the arts.2. States Parties shall respect and promote the right of the child to participate fully in cultural and artistic life and shall encourage the provision of appropriate and equal opportunities for cultural, artistic, recreational and leisure activity. In February 2011 the UN Committee on the Rights of the Child, announced its decision to draft and adopt a General Comment on Article 31. 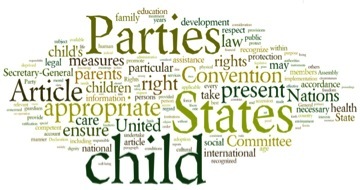 Article 31 is historically one of the least understood areas of the United Nations Convention on the Rights of the Child (UNCRC) and contains a number of themes that draw in the interests of people from across the spectrum who may work in widely diverse settings. This is why the development of a General Comment on this article is so significant. The General Comment will be issued to every government of the world, which has signed up to the Convention, which includes Australia. The General Comment provides further guidance to world governments on implementation of Article 31 and highlights the important role of play and access to cultural life and arts in children’s healthy development. The International Play Association received funding from the Bernard Van Leer Foundation for the development of the draft General Comment with a cross sectoral team of experts from across the world. As a working document of the UN, the draft was required to remain confidential and was not released for public consultation. At the end of September, International Play Association representatives and the expert panel assembled met in Geneva to finalise the document ready for presentation to the UN committee. The Article 31 ‘Working Group’ consisted of 15 people from 12 countries who met with the UN Committee’s focal group chaired by Awich Pollar (Uganda). This was the final stage in a long process that involved a core team, the expert working group and child consultation processes across the world. The child’s voice was included in the document with special consultations held in selected locations across the world. These locations included Brazil, Italy, Scotland, and Kenya. Children in post conflict situations and conflict situations in Lebanon and Sierra-Leone were also engaged in consultation as well as children in refugee camps on the Thai-Burmese border. The final draft of the document was given to the United Nations Committee on the Rights of the Child in early October with formal adoption likely at the January 2013 meeting of the Committee. The draft cannot be released until the UN officially adopts it. However it has been identified as a comprehensive one that is inclusive of the issues and challenges associated with play and important considerations for implementation. Once released, the children’s services sector will be in a position to use the General Comment to inform our work with children and highlight the valuable role of play and access to culture and the arts in the healthy development of all children. It will be an opportunity for Governments across Australia to take shared responsibility for reflecting on how their own planning and processes support Article 31. As educators working in children’s services we have an important role in supporting children’s opportunities to engage in play and a responsibility to advocate on its benefits to families and the community. 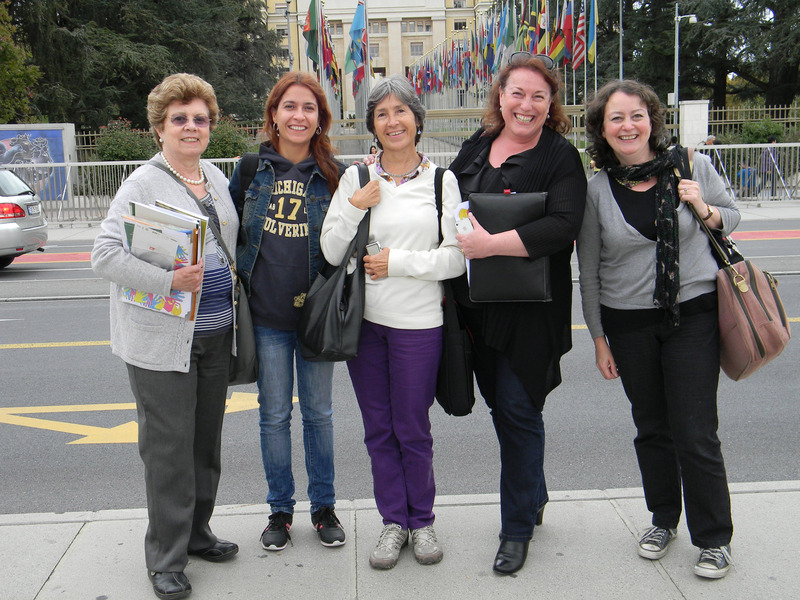 Representatives from Brazil, Turkey and Mexico who will be leading Article 31 projects in their home countries with Robyn Monro Miller (2nd from right) and International President Theresa Casey from Scotland (right) outside the UN. 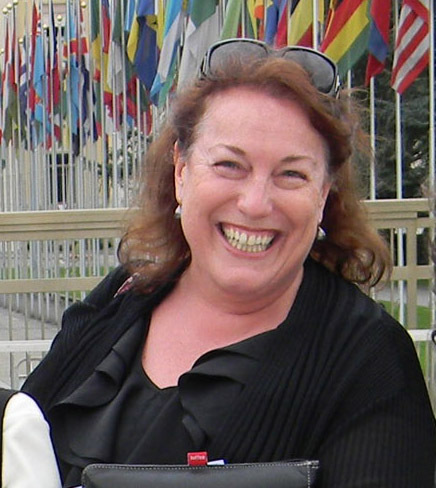 Robyn Monro Miller attended meetings in Geneva in her capacity as International Vice President of IPA. Robyn is the Executive Officer of Network of Community Activities in NSW, Australia. Network is an organisation with a long and proud history of advocacy for children and has embedded in its constitutional objectives the requirement to promote and support Articles 31 and 12 in the UNCRC. This article may be reproduced with written permission, please email play@netoosh.org.au. 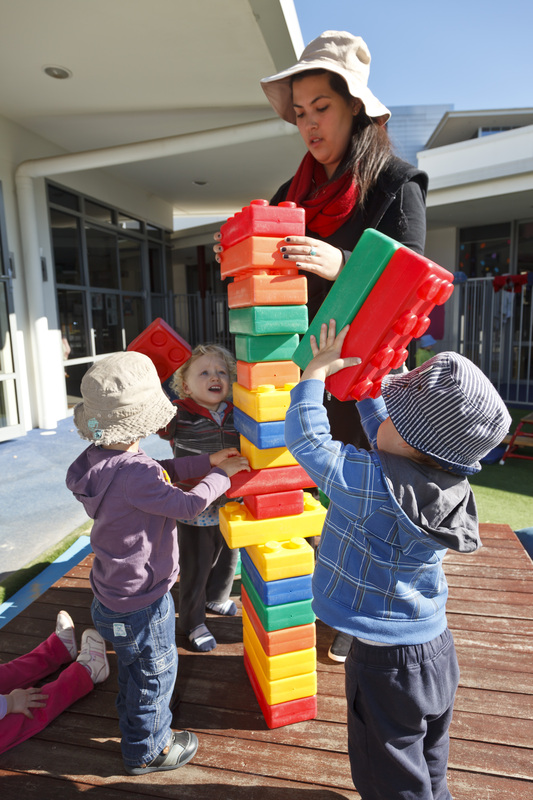 This month on the blog, director Julie Dowling of Discovery Early Learning Centre, Lauderdale, Tasmania, writes a personal account of the assessment process. Julie talks about how she led her staff and families to develop the Quality Improvement Plan (QIP) and how the educators became comfortable with the assessment process. Our assessment went for three days, which included the centre based long day care centre and the outside school hours care programs which are facilitated on site at the school next door. Our Quality Improvement Plan (QIP) is viewed and acted upon as a living document. It is freely available on all computers and is updated on a regular basis. We also have a whiteboard in the staff room that was used to document processes and change, this became the template for the QIP. There is no such thing as a silly question and educators were encouraged and supported to ask ‘why?’. As not everyone in our centre was computer literate the use of the whiteboard created an inclusive process for all educators. All stakeholders were involved in the development of the services self-assessment and its QIP including the children, families, community, school community and educators. The QIP was completed in April so by the time the assessment visit occurred in June; some of the areas of the QIP had indeed changed. We had implemented plans, some were still progressing and other areas were added. Progress notes were added to the QIP as evidence of our continuous improvement journey, but also as a reminder of the distance we had travelled in supporting better outcomes for children. The assessment day began with a tour of the service where the educators and children were introduced to the Authorised Officers. This provided the opportunity to talk about our processes, our people and our curriculum. The educators began to relax into the process as they were advised to ‘do what they normally do’ and to be confident in their practice. It was also important for them to understand that this is a continual improvement process and it was important to reflect on everyday practice with a goal of improving practice. The officers visited each of our program areas, including before school care and two outside school hours care sessions. During the visit the educators were involved in non contact curriculum planning and the assessors asked whether they could sit with them as they did this. Although the educators were confident in their abilities, the actual thought of having an assessor ask them questions was initially ‘a state of panic’. As the centre director, I stayed with the educator. After some initial trepidation the educator articulated the planning process and spoke about the context of the room’s curriculum and planning cycle. This was a positive experience and enabled the educator to celebrate what was happening each and every day for children and families within the education and care environment. As the officers walked through the service they spoke to the educators, viewed practice in the indoor and outdoor environments, viewed displays in the centre and room routines. As the director of the service the officers spent a lot of of time talking to me about Quality Area 6 and 7, and also asked questions about things that may not have been visible in the rooms at the time. They took lots of notes, which we unanimously decided was a good thing to ensure a transparent and robust process. The officers chatted amicably to the educators and to the children and I must say the whole process was very unobtrusive. The visit was authentic and the experience was a positive one for the centre’s team. The centre supports and is committed to continuous improvement and ongoing learning and this is what we strive to do each day. The assessment process has helped us build on our strengths and reflect on things we can learn more about. It was a great team building experience. Critical reflection played a major role in the process and we were able to show the officers our reflections which demonstrated our journey and the reasons behind any changes made to everyday practice. By the second day of the visit the educators were very relaxed about the whole process. The unknown was now the known. The only thing that the team found difficult was the wait for the draft report and the final rating but we understand why it has to be this way to ensure a credible system has been implemented. We now know the visit isn’t scary and our doubts and apprehension have been put to rest. We wait in anticipation for our rating and are committed to this journey of continual improvement and growth as a service. 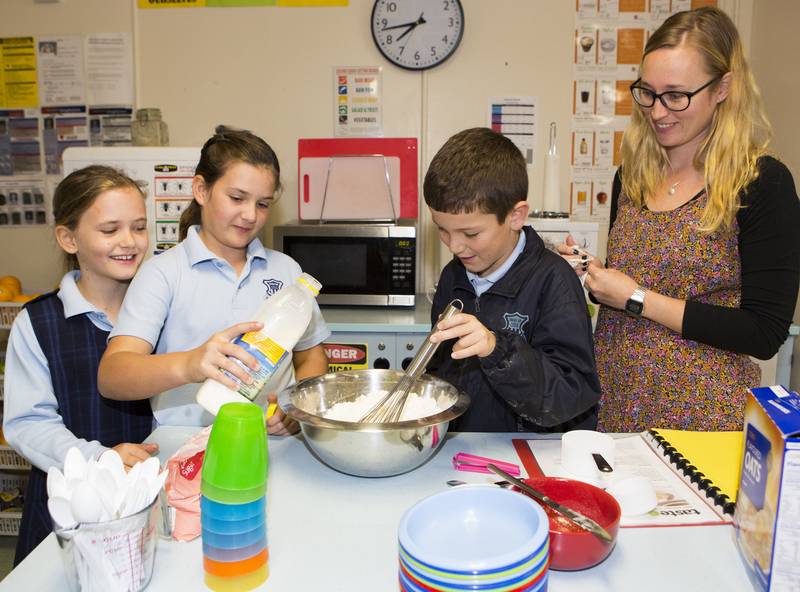 About the author – Julie Dowling is the Director of a 76 place long day care centre, 20 place After Kinder Care and 60 place outside school hours care in Lauderdale, Tasmania. Julie has worked in the sector for 18 years, firstly in Family Day Care and then in Outside School Care and centre based care. Julie has a degree in Early Childhood education and care.